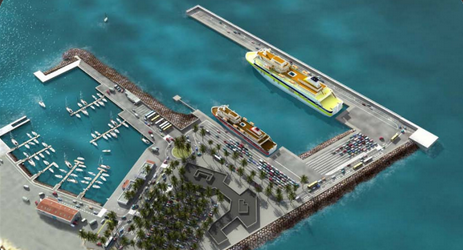 Work is currently on-going on the Playa Blanca harbour extension in Lanzarote. The existing harbour in Playa Blanca occupies a space of 91,470m2, the new extension will add a further 114,099m2 to the facility. The expansion project includes a new breakwater from the land to the south with a total length of 300 metres and depth of 17 metres. From there, the new section will run parallel to the existing harbour wall for 440 metres substantially improving the space available for sport, fishing and commercial vessels as well as improving the operation of the port. The aim is that Playa Blanca will become a cruise destination in its own right, as well as offering safe berthing for those occasions when wind and waves prevent ships from docking in Arrecife. The new and improved harbour will have 182 berths on floating pontoons, of which 17 have been assigned for fishing vessels and the new exterior section will handle the commercial traffic. Car parking, harbour offices and shops have been included in the plans to further enhance the experience for travellers. 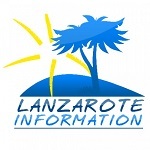 The €50 Million project is expected to be completed in 2020.